Home » Decor & Design » Storage & Organization » Pegboard Ideas – 13 Ways to Use Pegboards! 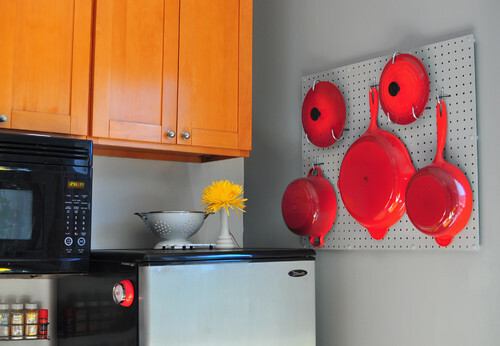 Pegboards can be a quick and easy solution to your decorating problems. With a little paint and imagination, they can turn a room into a work of art. Take the above image for instance. By selectively covering the walls with pegboards, this wall provides a lot of vertical storage space, as well as strategically placed cubbies. One of my favorite pegboard ideas is to use them to create an industrial/contemporary teen room. 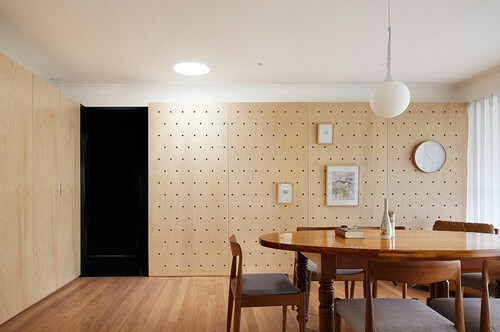 The above room has used pegboards as the bottom stripe on these wide striped walls. 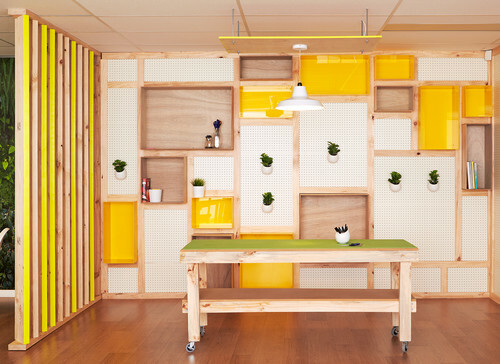 Pegboards can also come in handy when you want a fast sliding door or partition. Add one to a book shelf to hide a work station. 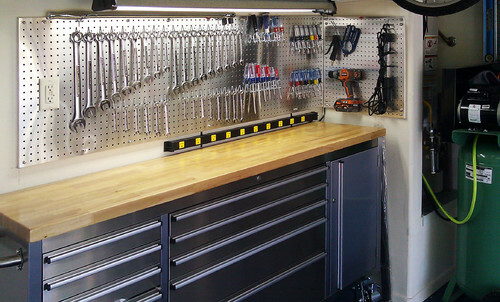 When it comes to storage, most people think of pegboards as a tool system or as a garage item. No doubt, they are very useful for these areas. But, lets expand on that a bit and see what else can be done. If you have the drawer space and you just want to get it organized, pegboards are great for this as well. Not long ago, I created a dish drawer organizer for my dishware. (You can find the tutorial here). 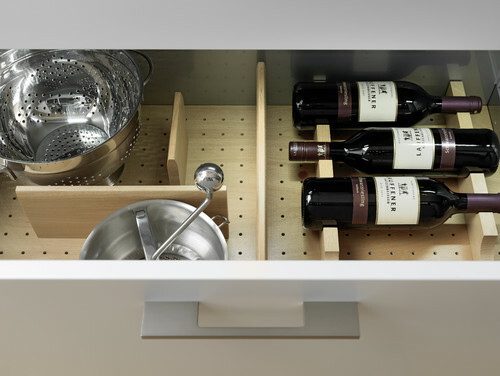 Just an FYI – the high end drawers are not made with the pegboards found in the big box stores. So, it’s best to restrict those to drawers with light weight items. For heavier items, use my tutorial for the dish drawer organizer. 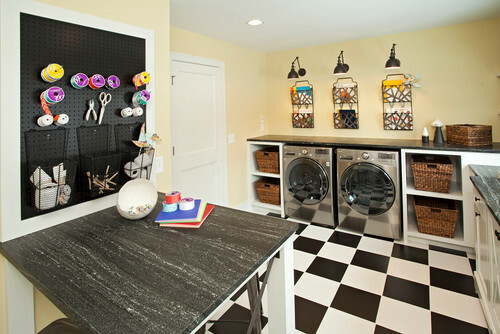 Another great place for a pegboard is the laundry room. It is a good way to create a craft area. It is also great for additional storage. In fact, the same concept can be used for an office space. Quickly hang all of those small items that tend to get lost in the drawers. 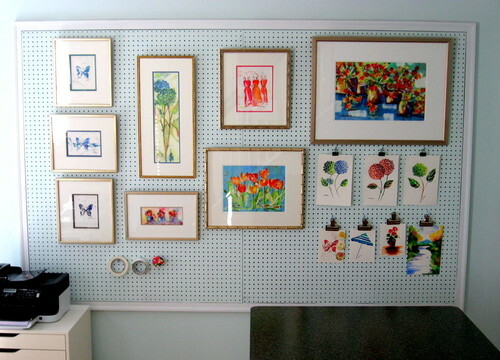 Or use a pegboard to create an art wall. These are perfect for having a space to rotate out the art. I especially like them for displaying kids work, but the possibilities here are endless. Use a pegboard to make instants accessory storage. 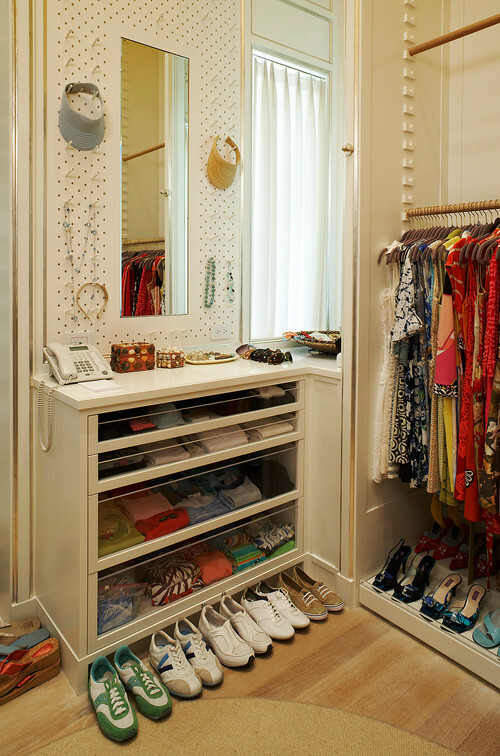 I love how this room has turned a small closet’s wall space into a mini dressing room. 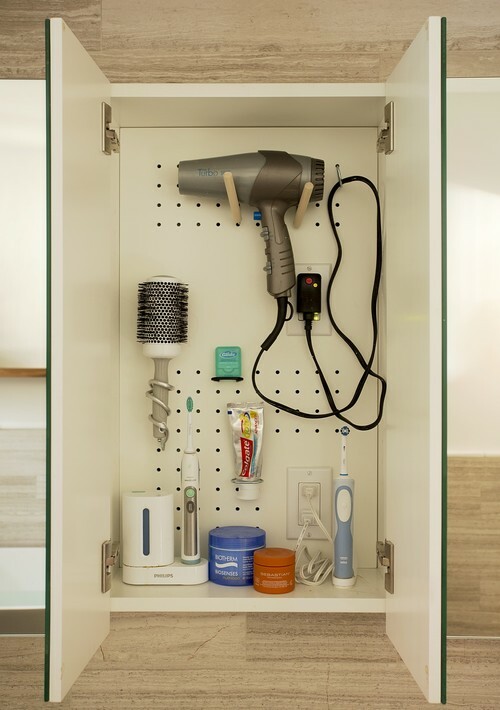 A perfect way to get all of your essentials organized in your bathroom is to add a pegboard to the storage cabinet. If mounted to the back wall, you can hang everything neatly. (Tip – this works best with a wall cabinet that is 12″ or less in depth. Need a place to hang all of that sewing thread. A pegboard may be the solution. There are a lot of DIYs out there that explain how to do this, but the biggest factor is in using angled pegs. (Or if you prefer the slat wall look, check out how I created a low cost, slat wall system for my sewing room – here, and my sewing thread organizer here). I hope that you have found something to inspire you here. 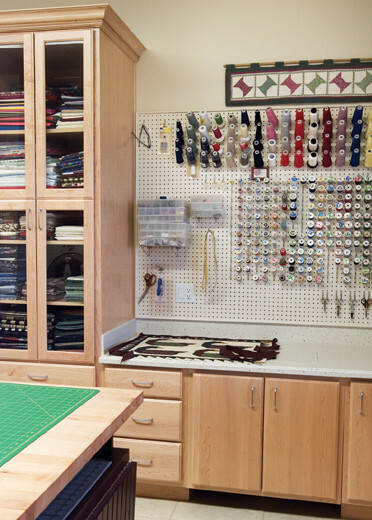 If you have any great pegboard ideas, fell free to share your tips with us. Awesome article. I never would have thought to use pegboards as a decoration.